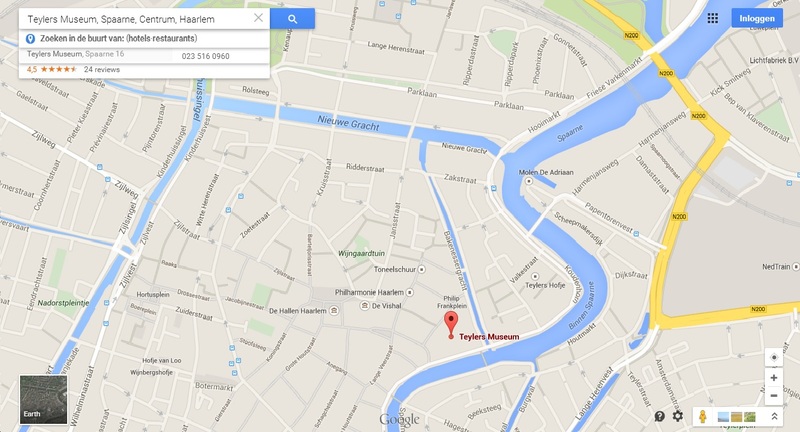 Teylers Museum will be on your right. Plan your train trip by using the website of the National Railways: NS. Car park De Appelaar is very close to the museum. Teylers Museum is not easy to reach by bus. Plan your trip to Teylers Museum using the Dutch public transport website, Openbaar Vervoer Reisinformatie or the website of the National Railways: NS.